Overview of the Kingwood Collection with a heavy focus on the Plantation on Crystal River (in Florida). Questions from owners and members? Any Resort landscaping improvements planned? Yes but prioritizing will dictate progress and the priority order will be shared at a later date. Palmer bunkers will improve this week however. Any plans to promote development of vacant lots? Kingwood is finalizing the builder program to bring more builders to finish off undeveloped lots. Will architectural review processes be improved to speed up? Kingwood will look into it. Ground staff appear to be staffed at 50% capacity. Course conditions appear to be slipping. How can owners communicate with Kingwood management on an ongoing basis. Bev Keller replied rrmembership@reunionresort.com is the place to contact. Request to clarify the role of the advisory board of governors. Contacts are on the website. Is the 400 unit hotel still under consideration. Why add more renters than residents. Golf course door locks do not work on the course rest rooms. Owners often receive info from Encore and Spectrum. If owners in these new areas take out membership they can have access to Reunion amenities but reunion members do not have access to their amenities. Can day guests be coached to repair their divots on the courses. Marshall’s are not active around the course. Kevin Baker will take up with the rangers. Can sidewalks be finished to stop pedestrians having to take to the streets. The ancillary areas of the courses are in poor condition with dead shrubs and trees. Will the Encore multiple advertiser signs be removed from Sinclair Rd etc. The CDD will address the signs that need to be removed. 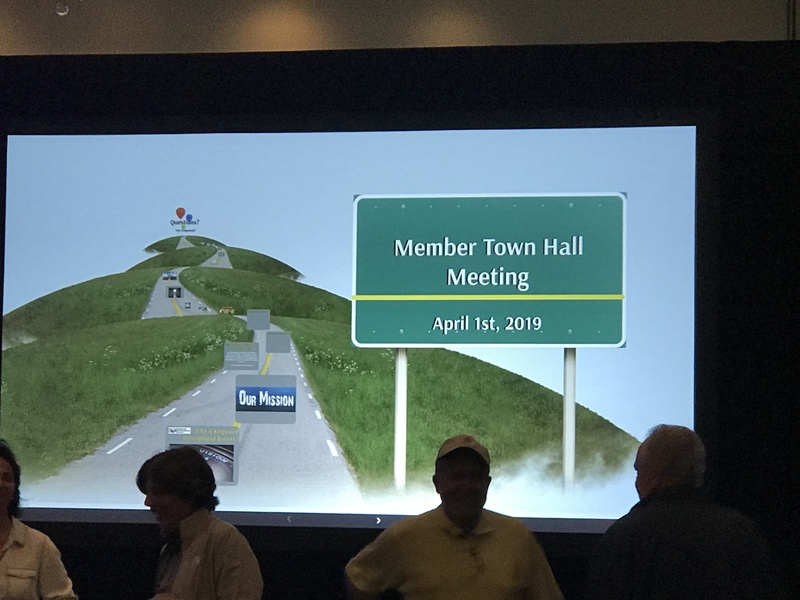 We had hoped to learn more about Kingwood’s future plans for the Reunion Resort and in particular its current and future vacation rental home owners. Having said that, the Kingwood management team showed ambition to invest and grow the resort as we would all hope for. Their appointment of Kevin Baker as ongoing General Manager speaks volumes for their desire to keep Reunion Resort’s best people in the business. Bev Kelber also steps up in a combined membership/rental role. Michael Mancke made no secret that Kingwood would be driving harder to attract more home owners into the Reunion Resort official rental program. Don Harding and AOBG members did a great job on explaining the role of the AOBG. Despite lots of very tough questions, I thought that Kingwood’s team presented themselves very well at their very first interaction with Reunion Resort members and owners. Naturally people want better golf and improved amenities and it can’t be performed overnight, but our beautiful resort looks like it has an owner that cares, and has a passion to put the jewel back in the crown of the best luxury golf community in Central Florida!